If you are a high school or a college student with a disability, you have come to the right place! The Student Lounge has resources designed to help you learn more about how to prepare for and be successful in postsecondary education and careers. 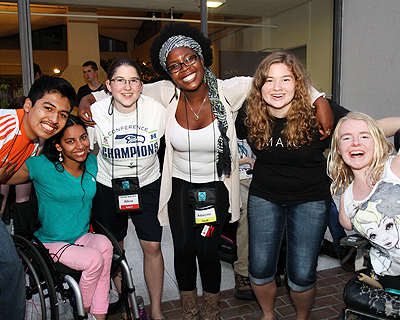 Students with disabilities in these videos talk about their own experiences. Learn about experiential education, relevant skills, and more. Read an article and learn the intricacies of studying abroad as a student with a disability. Search for Promising Practices, Case Studies, and Q&As on how students and teachers can work together to fully include students with disabilities in courses. Initial funding for the AccessCollege websites was provided by the U.S. Department of Education through three Demonstration Projects to Ensure Quality Higher Education for Students with Disabilities.